Fort Bend Lawyers Care will be providing FREE answers to legal questions to low-income residents of Fort Bend County on Friday, Sept. 12 and Friday, Sept. 26. This service is available ONLY to Low-income residents of the county. ATTORNEY WILL RETURN CALLS FROM 1:00 – 5:00 P.M., THE SAME DAY. IF YOU DO NOT ANSWER YOUR PHONE AT THE TIME THAT YOUR CALL IS RETURNED, THERE IS NO GUARANTEE THAT THE ATTORNEY WILL BE AVAILABLE THAT SAME DAY, IF YOU CALL BACK. Are you a Veteran? 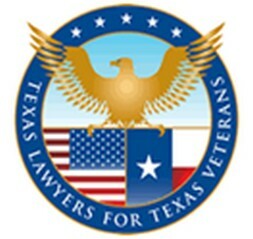 Ask about FBLC’s Veteran’s Program! FBLC is funded in part by grants from The George Foundation, the Texas Access to Justice Foundation, the Texas Access to Justice Commission, Fort Bend Junior Service League and the Fort Bend County Bar Association.